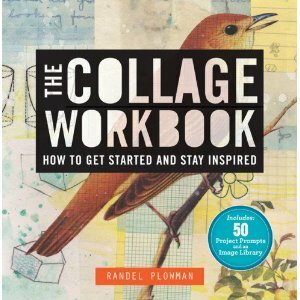 Randel Plowman, the maker of daily collages that are posted on ACollageADay.com, has made sure that collage will be accessible to everyone in his new book, The Collage Workbook, published by Lark Books. Beginners will love this book, since Randel explains clearly and simply the art of collecting, arranging, and attaching images to create collages. In straightforward fashion, he covers the basic tools needed (very few), places to find great images (lots! ), and how to store your materials. Then the fun starts. Randel turns his attention to composition and layering. Without getting bogged down, he explains some of his favorite ways of working and techniques that he finds particularly useful, including a simple way to mat your work. The bulk of this book will appeal not only to beginners, but also to experienced practitioners. 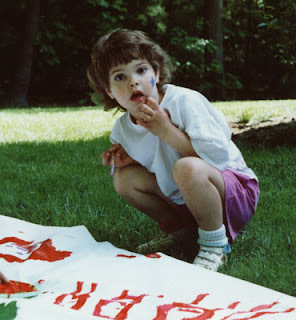 Randel outlines 50 creativity exercises; that is, 50 prompts, methods, themes, and techniques to get you started in creating your own terrific personal work. Oh, and there's an image library too, with copyright free images you can use to get started while you build your own collection!